Donations can be made to us on-line or by mail. The Visa/MasterCard button below takes you to PayPal to make your donation on line safely and securely. You will receive an acknowledgment notice from us and be included on our mailing list (which is never sold). This entitles you to receive our quarterly newsletter. To make your donation on-line please click the donation button below. 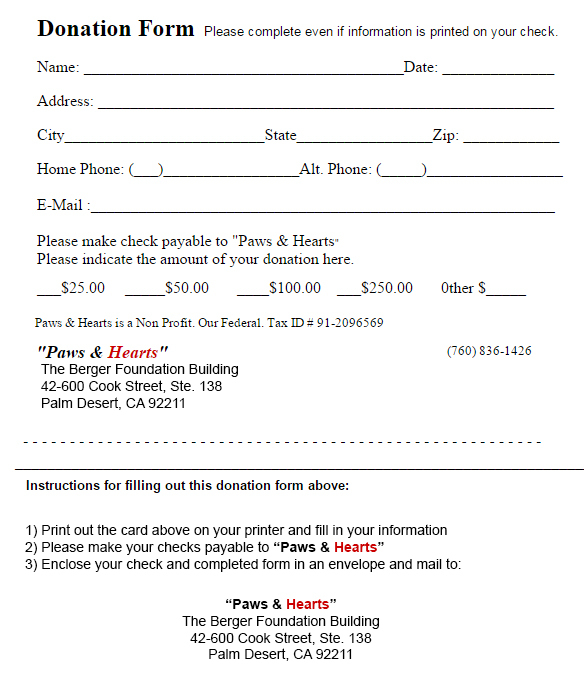 To make a donation by mail, print the form below, follow steps below the form. Your donation enables us to continue with our mission of providing therapy dogs to those individuals who can no longer take care of a pet for themselves. Your generous donations make it possible for us to continue with our mission of providing weekly visits to seniors and children in our community.